Magical. I need a number of these dotted around the garden. 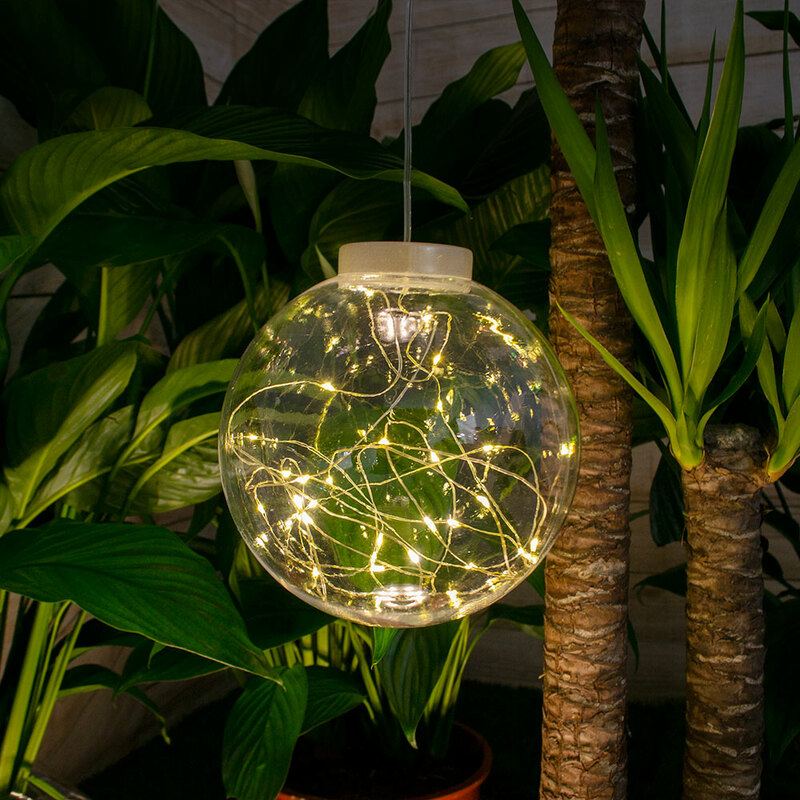 Add atmosphere to your garden or outdoor space with this beautiful Sparkle Solar Hanging Ball Light. This unique warm white feature light has been designed for 3 season use (Spring, Summer and Autumn) and uses an amorphous solar panel which will enable it to charge in lightly shaded areas. It will be the talk of any garden party or BBQ. Will the solar panel charge if hung in a tent? It would charge but unlikely to get enough to power the light. can you tell me the diameter of the sparkle ball please?